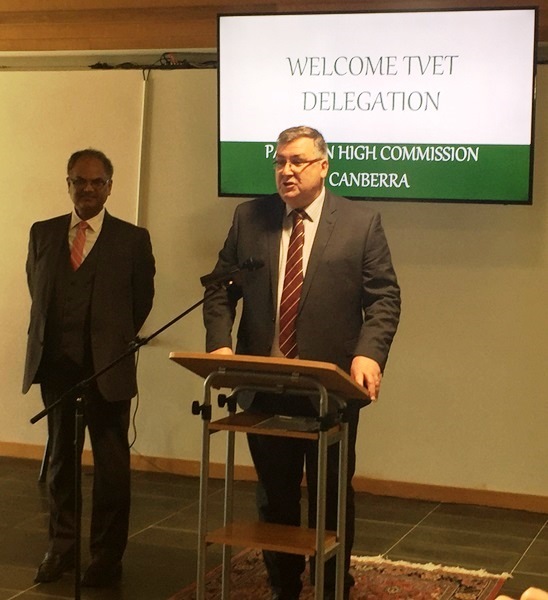 A Memorandum of Understanding (MoU) between Pakistan National Vocational & Technical Training Commission (NAVTTC) and Technical and Further Education Directors Australia (TDA), was signed, today, at the High Commission for Pakistan, Canberra by Mr. Zulfiqar Ahmad Cheema, Executive Director and Mr. Craig Robertson, Chief Executive Officer, in the presence of High Commissioner for Pakistan Naela Chohan and Michele Forster, Acting Assistant Secretary, Department of Foreign Affairs and Trade (DFAT). 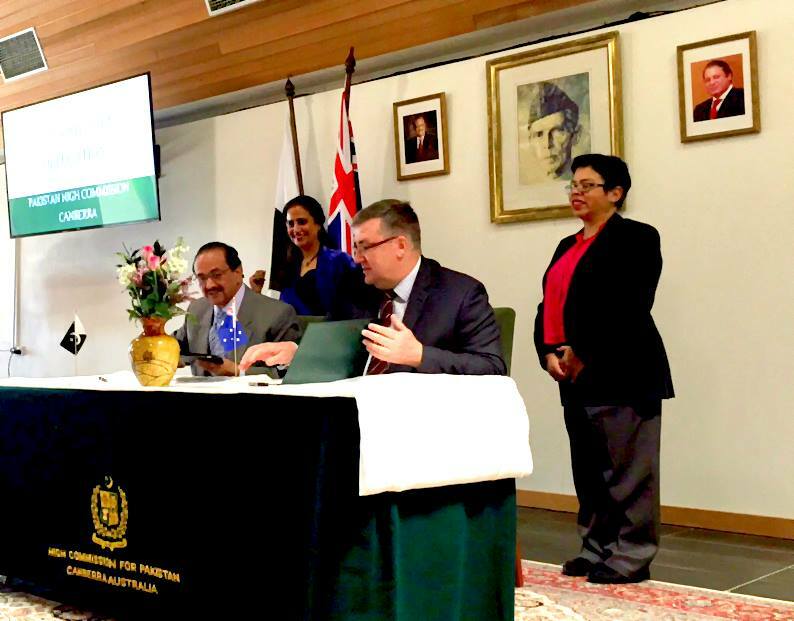 The MoU will facilitate cooperation in vocational and technical training of Pakistani youth. 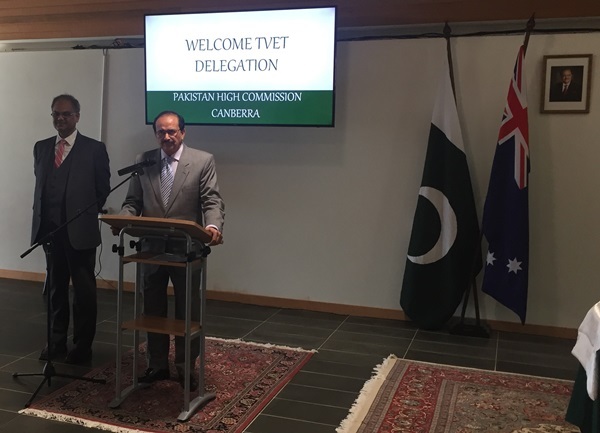 Mr. Cheema, while appreciating the efforts of High Commissioner Naela Chohan, thanks the Government of Australia and stated that it was a very important field of cooperation which would help give skills to Pakistani youth for gainful employment and would prevent them from falling prey to extremist elements. Mr. Craig Robertson underscored the importance of exchange of experience and technical knowhow. 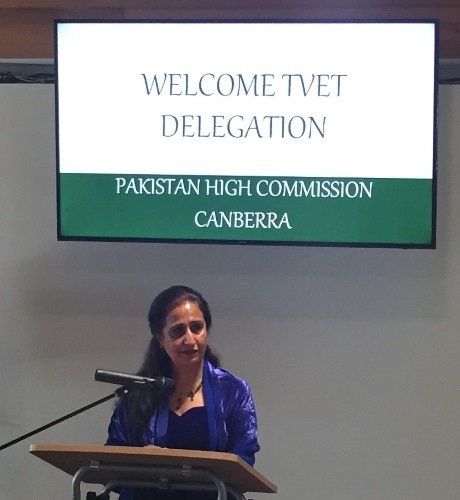 Michele Forster, reiterated the continued support of Government of Australia to capacity building of Pakistan. 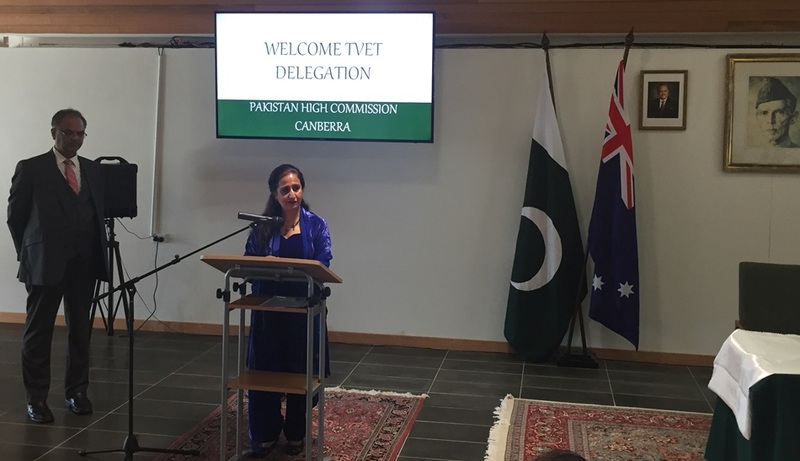 High Commissioner Naela Chohan in her statement while thanking the Government of Australia for its support, expressed satisfaction that the bilateral relations were on upward trajectory. The signing of this historic MoU would give a new impetus to existing cordial cooperation between the two countries. Pakistan with more than 60% of its population under 25 years of age, is focused on the socio-economic development of the youth. It was part of Prime Minister’s Youth Programme and also Vision 2025. 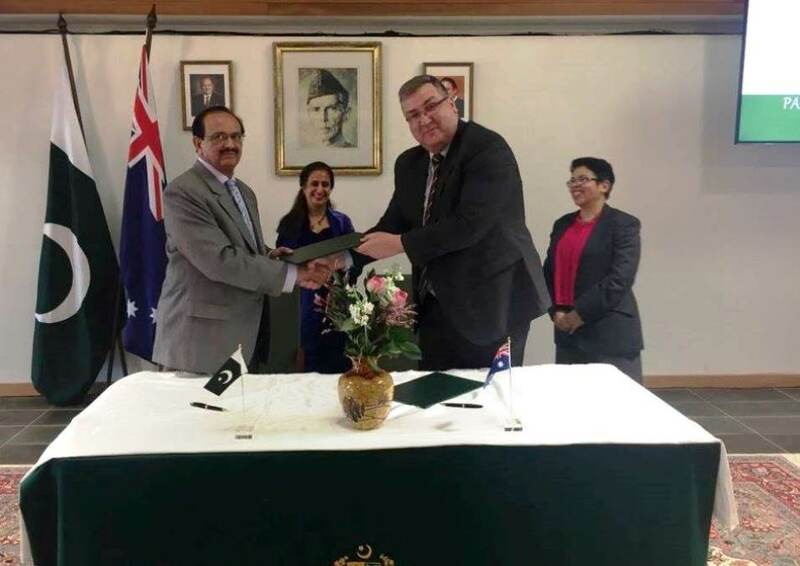 High Commissioner Chohan emphasized that it was a propitious moment for signing of this MoU as it coincided with the 70th Anniversary of our independence and the 70th year of the establishment of diplomatic relations between Pakistan and Australia. 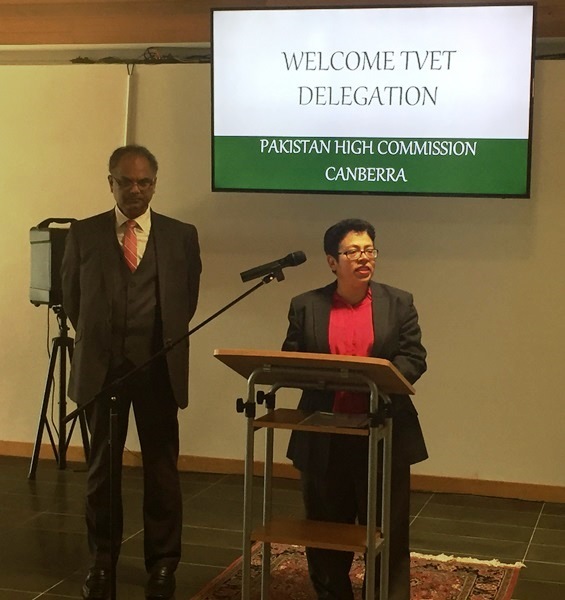 The 30-Members TVET delegation led by Mr. Zulfiqar Ahmad Cheema, Executive Director, NAVTTC and assisted by Ms. Farah Hamid, Provincial Secretary, Industries, Technical and Vocation Training, Government of KPK, is currently visiting Australia to better understand the Australian system and explore areas of mutual interest for cooperation between the two countries in the field of technical and vocational training.